Bristol, VA – January 14, 2015 – WeddingWire, the nation’s leading online wedding marketplace, named Nathan Mays Photography as a winner of the prestigious WeddingWire Couples’ Choice Awards® 2015 for Photography in Bristol! As a Couples’ Choice Awards® winner, Nathan Mays Photography is highlighted within the WeddingWire Network, which is comprised of more than 200,000 wedding professionals throughout North America and abroad. 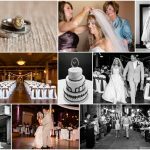 Nathan Mays Photography is proud to be one of the top Photographers in Bristol in the WeddingWire Network, which includes leading wedding sites such as WeddingWire, Project Wedding, Brides.com, Martha Stewart Weddings, and Weddingbee. We would like to thank our past clients for taking the time to review our business on WeddingWire. We value all of our clients and truly appreciate the positive feedback that helped us earn the WeddingWire Couples’ Choice Awards® 2015. For more information about Nathan Mays Photography, please visit our WeddingWire Storefront today at http://www.weddingwire.com/biz/nathan-mays-photography-bristol/e566eaa63a0a6d78.html.